Clean up your yard? 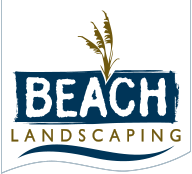 No time, Beach Landscaping has the answer! We know you are busy with shopping, cooking, wrapping, baking and house cleaning. You may have looked out the window and said “OH NO” how can I have guests here with my yard looking a mess?? The weather has been adding to the mess with the wind and rain – never mind the cold. Beach Landscaping to the rescue! It doesn’t matter if you are an existing customer or a one time customer, we are happy to help you out. A a result, a one time customer may find their experience with our company to be so postivie that they become a new customer ? Our professional and friendy crews will follow your direction if it’s over and above an obvious project. We will automatically be fixing the mulch and clearing debris. Want to add a few pointsettas? Let us know when you call and we can bring along with us to brighten your entry way in a festive manner. Are you running out of time and have to still put the lights on outside! We can help there as well.